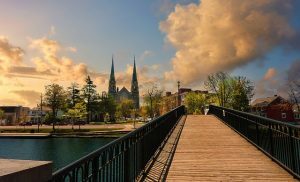 What to expect when you’re about to move to the largest Canadian city Toronto, the capital Ottawa or some small town in the Ontario province? Moving to any of these places is a different story for the most part, yet they all have some things in common. You’re moving to the same province after all. Here’s what you should know when moving to Ontario. Moving to Ontario can be very exciting. If you had any second thoughts about moving to Ontario, they were most likely related to the infamous Ontario weather. The good news is that the climate is not that harsh in the southern portion of the province and this is where the major cities – such as Toronto and Ottawa – are located (obviously, for a reason). It’s due to the fact that the Great Lakes moderate the climate near their shores, so southern Ontario has milder winters than the rest of the province. Winters are still cold though and with a lot of snow, while summers are hot and humid. In the north portion of the province, summers are cooler, winters are even colder and there are even places with subarctic climate. Make sure you’re comfortable with that if you’re thinking of moving to the northern Ontario. • hospitals and other medical facilities. You might be surprised to hear that, but cycling is a big thing in Toronto. They have summers, remember? The city also features a good system of cycle lanes. You can also count on a decent public transportation in Toronto. The residents admit it could be better, but are still quite happy with it. It covers 1200 km in total and ticket prices are reasonable. It gets crowded at rush hour as many people work in downtown though. This is why you might want to have a car, but it’s good to know it’s not necessary as long as you choose to live in Toronto. If living in Ottawa, you might also be able to get away with public transport (mainly buses) and taxis, but having a car is still a way to go when moving to Ontario. What happens with your driving license if you’re moving from another country or another province? If you’ve already lived somewhere else in Canada and got your Canadian driving license, it will only be valid for 60 days when you move to Ontario. You’ll then need to apply for your local driving license. If you’re coming from outside of Canada, it may be possible for you to move on without another driving test. You might be able to exchange your license for the Ontario one without a local driving test, but it’s only possible for people coming from certain countries. Here’s a tip though: try getting your International Driving Permit (IDP) before leaving your home country. That one is valid for 12 months and you could use it upon moving to Ontario as well. You’d be better off with a car in Ottawa. Ontario is the most populous province in Canada, as more than a third of all the Canadians live there. There’s obviously a reason why all those people chose to live in that part of Canada (there are 13 provinces and territories overall). 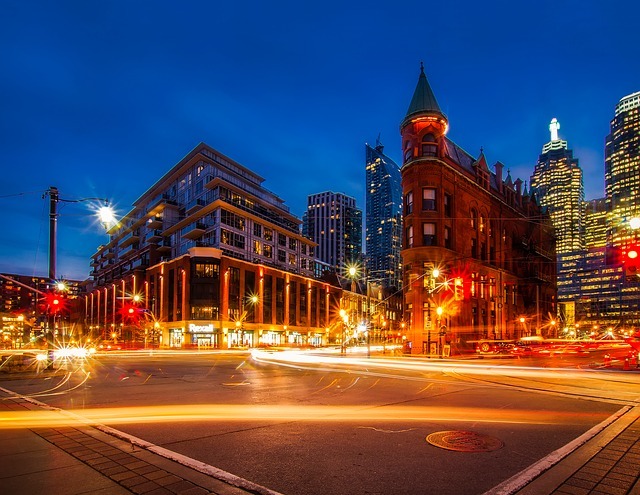 The most populous city in the country, Toronto is also located in the province as well. There are many job opportunities in this part of Canada. So even if you don’t have a job at the moment or you happen to lose the one you have, you should not worry. 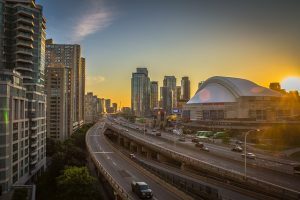 Moving to Ontario and specifically to Toronto is a great thing if start-ups and tech are your thing. Toronto is one of the biggest hubs in the world when it comes to tech, with more than 2,000 tech-related startups in the city. So if you’re looking to build a career in tech, you’ve come to the right place. And if you are planning on moving to Ontario in the near future, you can even book a mover online! Toronto is also a great choice if your dream is about a career in the film industry. This particular industry employs 28,000 people in the city of Toronto and generates more than $1 billion annually. Even Meghan Markle used to live in Toronto once, while she was filming Suits. There’s also the Toronto International Film Festival (TIFF), which takes place every September. Are you moving from another Canadian province and want to get a government job? Then the capital city of Ottawa is the right place for you. You may also want to consider a career in the City of Toronto as it was recognized as one of the Canada Top 100 Employers in 2018. You might want to check out the Canada Top 100 Employers Toronto as well. Toronto is a good place to be if looking for a job. 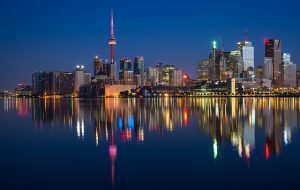 Toronto is the biggest city in Canada, yet it’s one of the safest big cities in the world. You’ll get used to living over there very quickly, even if you’re coming from a small city. You’ll be able to walk around Downtown at night with no worries. Yet there are some parts of the city to avoid. You should also make sure to keep in mind normal precautions, such as locking up your car or bike. If you’re looking for diversity, moving to Ontario is a great choice (and anywhere in Canada for that matter). Toronto, in particular, is known for its super-multicultural environment. You can learn about the world by staying in the city only. Go and visit Little India, Little Italy, Little Portugal, Greek Town and more. Moving to Ontario may seem like a huge step, but it can be done quite easily. The province is very welcoming and people are easy-going. So get ready, make your move and enjoy your time in Ontario!